The Steem community needs your help to vote for STEEM to be listed on the Paytomat mobile wallet!! You will recall that earlier this year I made contact with Paytomat.com and negotiated the listing of STEEM on their merchant app. This basically means that any merchant that integrates Paytomat in their Point-of-Sale system can generate a bill with a QR code for STEEM payment, the payer can then use any STEEM wallet such as the Steemwallet.app to transfer payment to the merchant as previously mentioned in the announcement post. However this was only one part of the puzzle, Paytomat also has a user wallet available on iOS and Android which will give good visibilty to STEEM as soon as users install the wallet and not just when they get to the Point-of-Sale as currently is the case. However in order for STEEM to be listed on the mobile wallet it has to go through a vote bidding process, and each month a lucky coin gets to have a free listing provided they garner the most support. 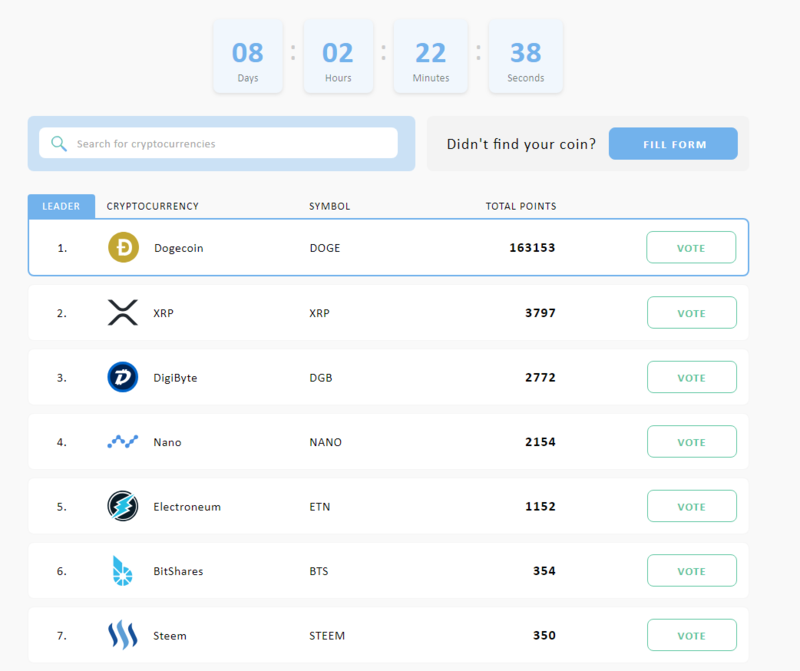 Dogecoin is currently in the lead with 163 153 points and STEEM is sitting at #7 with 350 points because I don't think the Steem community knew much about this vote taking place. 8 Days is still plenty of time to come out on top! The Steem community has banded together many times before and ensured that Steem won other listings, so I have full confidence we can do it again if everyone takes some time to follow the voting steps, most of which are free. 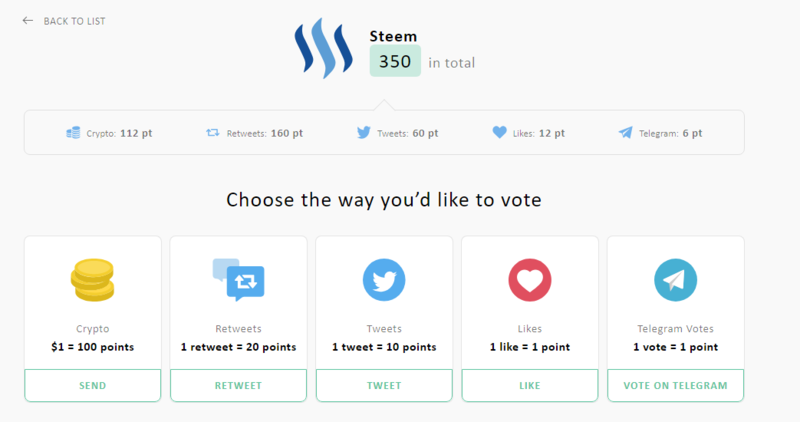 Once you click on Steem, you will have a few voting options, Tweets, Retweets, Likes and Telegram votes as all free, so please do them all. 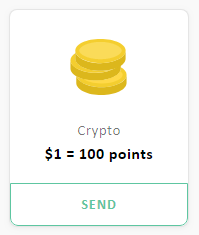 If you want to donate for additional points and help the Paytomat team earn a bit for their development efforts, you can choose the crypto option where every $1 of crypto will earn 100 points towards the listing campaign. To put that into perspective, in order to sneak into first place, we need to raise $1628 as a community to just get into 1st place, this isn't much if everyone donates just $1. I'm going to donate 100 STEEM and encourage others to follow suit, I also exhausted all of the free options. 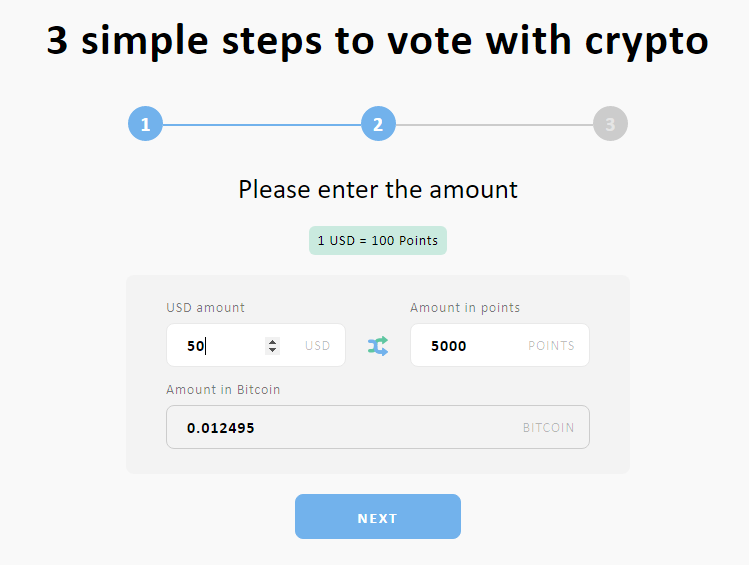 If everyone does the free option only and execute all of the tasks, we will need 5087 users in total to take part, so a realistically, a mix of paying in crypto and free voting will likely clinch the deal. Choose either EOS or Bitcoin, I will choose good old bitcoin, because only certain authorised users can pay with EOS on Blocktrades. Enter in the amount you wish to pay in USD. I know I want to pay 100 STEEM, which is roughly 50 USD, so I enter in 50 USD. Woah! This gives us 5000 points towards the campaign - Awesomesauce! You will then be given the amounty and address to pay into, leave this open and start a new browser window or tab. Visit blocktrades.us and choose Steem as the sending currency and Bitcoin as the receiving currency. 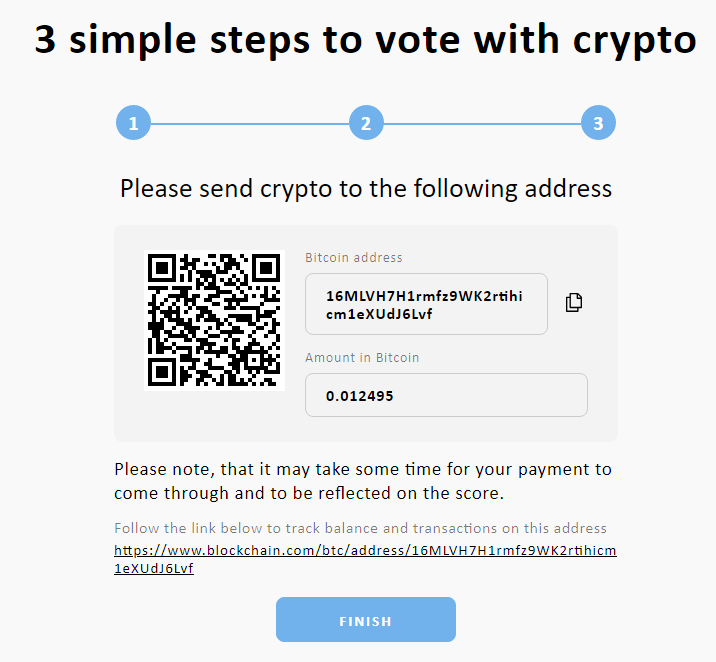 Then go back to the paytomat voting page and copy the bitcoin amount and enter it in the Receive field, then do the same with the address, copy it from the vote page and insert it into Your receive address. Click the Get Deposit address button and send the stipulated Steem send amount to it, in my case 110.093 STEEM. 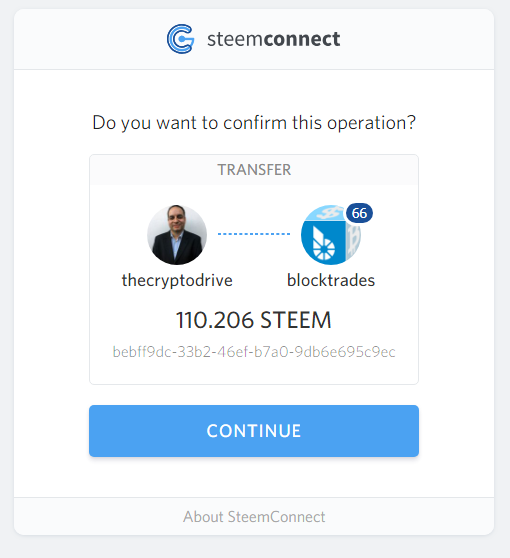 This will then reveal a form where you can enter in your Steem username that you want to pay from, I typed in thecryptodrive. 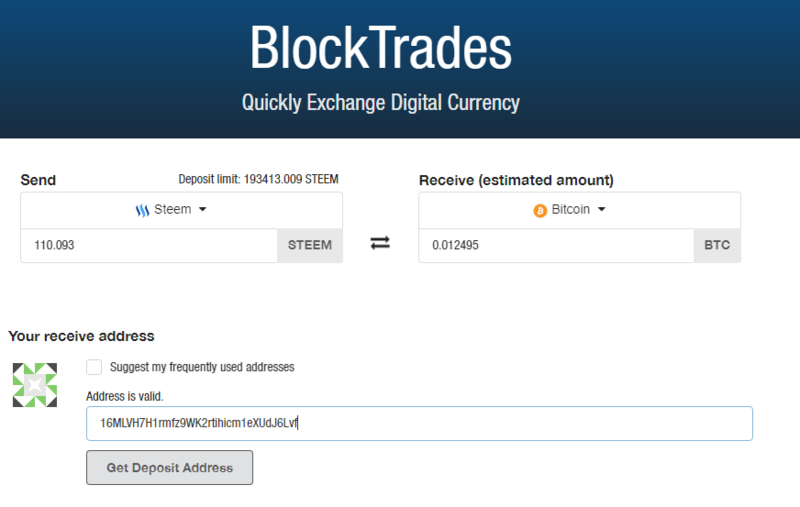 Once you have typed it, click the Transfer Using SteemConnect button, which will bring a window up like this where you have to authorise with your active key. Advanced users can choose the manual tab in the previous window and pay with Steem Keychain, Vessel, Steemwallet.app or whatever other method they wish. Wait a bit, since bitcoin isn't as fast as Steem it may take some time to confirm on the bitcoin blockchain. Check back in a while and you should see the Steem campaign points increase. Look we are #2 now!!! With your help we can be #1 and lead by a comfortable margin! 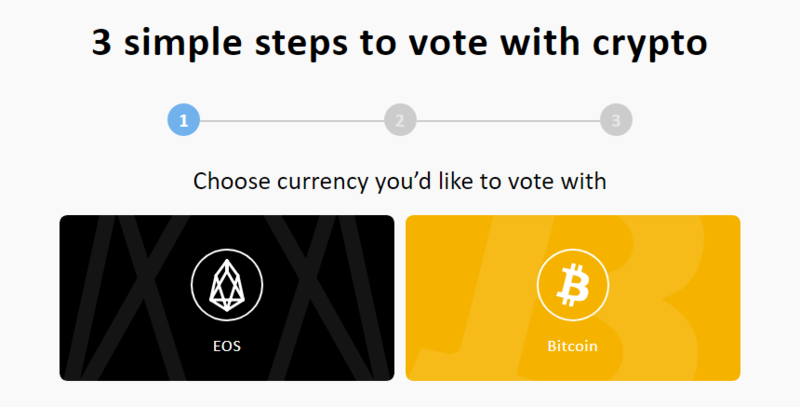 Please visit https://vote.paytomat.com/ and vote for STEEM today! !